Blogging has changed so much over the years, and it makes me a little sad. It's certainly not as en vogue as it once was. I miss the glory days! I miss the casual, candid way in which people shared their lives. So much of this has moved to Instagram, I think. But, I've made my peace, and I still enjoy a handful of blogs. I read them daily, and I always get excited when I find a new one. Bloglovin' is my favorite way to round them up all up in one spot. I usually start my day off reading blogs on my iPad, coffee (of course), and a nursing baby in my lap. Food, fashion, motherhood, travel...this blog is legit. Based out of NYC, Joanna Goddard has her finger on the pulse of the modern woman. My favorite series is Beauty Uniforms. If you are on a quest to find your personal style, then Unfancy is your go-to guide. Caroline blogs her journey from dealing with her unhealthy shopping habits to creating capsule wardrobes to minimalist fashion and finding her distinct style. This is totally one of my favorites! And it's the inspiration behind my own capsule wardrobes. Books! Anne Bogel blogs all about books. She also has a fantastic podcast What Should I Read Next. I have learned so much about my own reading life and preferences from reading her blog. Jenny shares recipes, tips on family dinner and entertaining, and she is the author of one of my favorite cookbooks. Also, she just announced her next book and I can't wait! This is a fabulous parenting blog. The tag line is parenting without the chaos. This blogger, Rachel Norman, has done her homework! She has a way of putting words to parenting problems and solutions that will empower you as a parent and make you feel more in control! One of my favorite posts...5 Times It's Okay For Your Child To Go Hungry. This blog is written by 4 European women who put a beautiful spin on motherhood. They share product recommendations, but also crafts, recipes, and parenting tips. Gabrielle Blair writes about home design meeting the practical parts of family life and motherhood. This is a colorful blog with so much design inspiration as well as great tips on parenting and mom life in general. Also, I'm a huge fan of the book Design Mom. Margo's blog is so inspiring as she shares how she thrifts at home! She shares recipes, kitchen tips, sewing, and much more. This post is one of my favorites and I think about it all the time. Tsh's well know blog offers everything from practical life tips, great recommendations for kids' toys and books, inspiration about hospitality and travel as well much food for thought on education and choosing schools. Also, there's a podcast. Sarah is a mom of 6 kids. 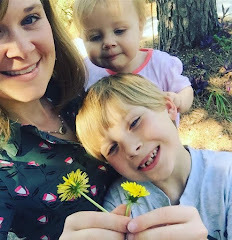 She shares so much wisdom and perspective about mothering and running a home as well as tons of great parenting tips. Her 40 bags in 40 days posts are super inspiring! Nell is one of my best life friends and my college roommate. She writes about her life with her three adorable triplets. Yes, triplets! This is my sister-in-law's blog. She writes about deep and fascinating things....God, people, spirituality. She is a brilliant writer, and she is only 21 years old! She truly amazes me. Disclaimer: I do not agree or endorse every opinion shared on these blogs. Generally, I enjoy their content, but occasionally there is something I vehemently disagree with...just FYI. So PLEASE share...what are your favorite blogs these days? Did you once upon a time have a blog? Do you wish you still blogged? If so, why did you stop? Do you think blogs are dead? Also, all the blogs I shared have updated at least once in the last month. I love this post! I am just starting a blog and have the same sentiment--so sad that blogging seems to be going by the wayside, but I still have my favorites that I read daily, yours being my absolute favorite! I used to love Darby's (Fly Through Our Window) and am still in mourning that she doesn't blog anymore. Thank you for introducing me to a Mother Far From Home! I've been devouring her posts over the past few days--she's so wise! We have many similar favorites (Cup of Jo, DALS, Clover Lane) and I also love Do Say Give, Elements of Style, Sarah Tucker Styles, and Nine & Sixteen. Happy reading! thanks for the compliment!! And I see a number of blogs on your list not familiar to me, so I have some fun reading ahead, I think. The blogs I read regularly are on my sidebar (you are there!) and I kind of check on some others, time depending. I used to love to blog, now I just can't seem to commit. I hope like all things there is a season, and it comes back around for me. I still enjoy reading though!